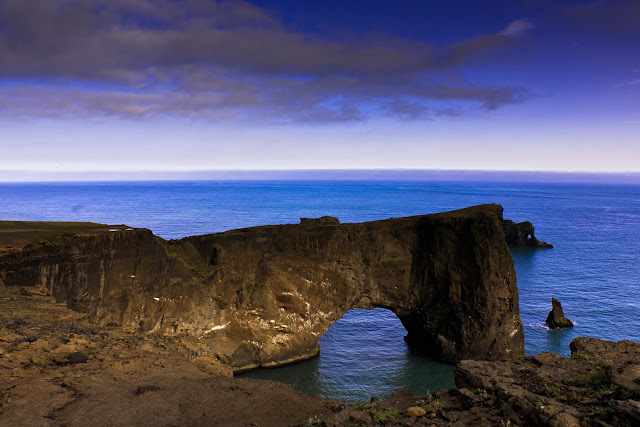 Near Vík on the south coast of Iceland several rock formations out in the ocean grab your attention. My favorite is the rock at Dyrholaey. Take a look out over this rock and into the wide ocean landscape.